The Advance is compact, yet able to perform an outstanding range of transfers. Whether from the floor or onto a healthcare bed, the Advance copes with ease. The Advance's unique tapered leg design allows the lift to get even closer to the widest of obstacles. This is especially useful when encountering large chairs, bulky commodes and wheelchairs. The tapered design also ensures that the resident feels safe and secure during the transfer. The Advance is compact, yet able to perform an outstanding range of transfers. 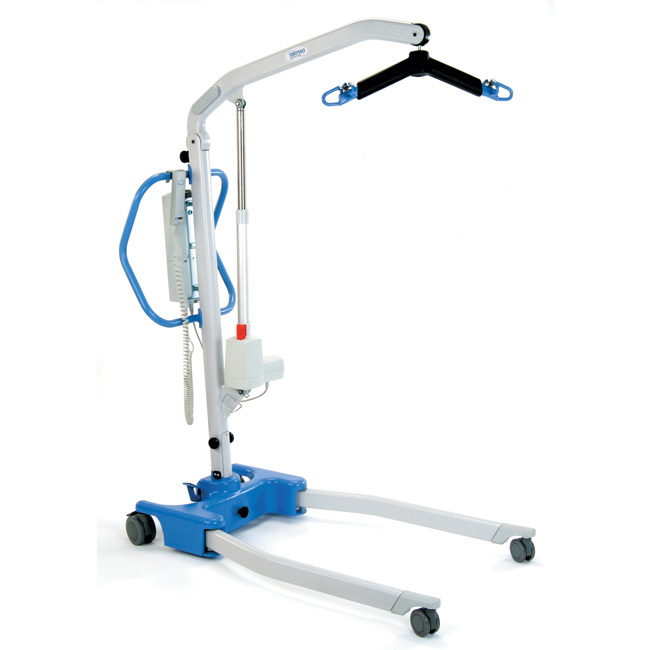 The Advance patient lift from Hoyer represents a true step forward in patient lift design and performance. It uses the very latest design and manufacturing technologies to ensure the Advance is the most functional and stylish lift in its class today. Maximum Overall Length 51.2 in. Minimum Overall Length 49.2 in. Maximum Overall Height 73.2 in. Minimal Overall Height 53.5 in. Spreader Bar: Maximum Height 66.5 in. Spreader Bar: Minimum Height (usable) 15.4 in. Height at Maximum Reach 46.1 in. Reach at Maximum Height 25.6 in. Reach at Minimum Height 13.8 in. Legs Open: External Width 39.4 in. Legs Open: Internal Width 39.4 in. Legs Closed: External Width 26.4 in. Legs Closed: Internal Width 22.4 in. The Hoyer Advance can also be folded, or separated for transportation. Unlike other products on the market the Advance needs NO tools or special attachments to achieve its compact /folded position.